Johannesburg-based investment company Moti Group will consider selling shares in its chrome-mining operations in Zimbabwe. Chromium, commonly referred to as chrome, is a tough, gray industrial material that has an especially high resistance to heat and decomposition. It is one of the more durable metals available, and is an integral component in stainless steel, which is used in infrastructure and machinery, and supports construction activity around the world. Many investors believe chromium investing is a compelling opportunity, and to help those interested in the space, we’ve put together a brief guide of chromium supply and demand dynamics. 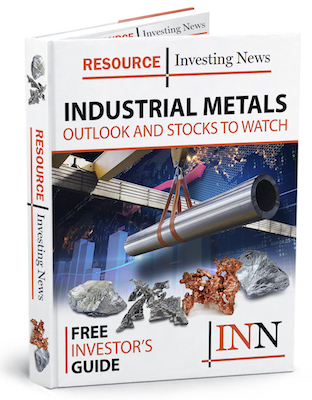 Read on to learn more about how to start investing in this industrial metal. The past few years have been difficult for the chromium market. In 2016, prices for chromite, an iron chromium oxide, and ferrochrome, a chromium and iron alloy, hit six-year lows due to falling production costs, oversupply and slower demand. Despite those issues, at the end of 2016, International Chromium Development Association market research analyst Loïc Racon said that the chromium market was “awakening” and that momentum would increase owing to Chinese demand. In total, 92 percent of chromite goes toward metallurgical applications like stainless steel. All in all, stainless steel accounts for 60 percent of chromium demand. Stainless steel also requires large amounts of iron ore. Roskill says that the world’s chromite consumption totaled 29 million MT in 2015. In terms of supply, more than half of chromium is produced in South Africa and in Kazakhstan. According to the US Geological Survey, South Africa produced 14 million MT of chromium in 2016, beating out the rest of the world’s chromium producers by a wide margin, while Kazakhstan produced a total of 5.5 million MT. Interestingly, South Africa used to be the world’s largest producer of ferrochrome as well as the top chromium producer; however, it lost that title in 2012 to China due to power supply constraints. Chromium investing can be challenging, as the metal is not traded on any public exchanges; as a result, owning the physical metal is difficult and risky. For that reason, many investors interested in chromium investing choose to buy shares of companies engaged in ferrochrome production. The largest publicly traded producers are major miner Glencore (LSE:GLEN), which produces the metal in South Africa, and Eurasian Natural Resources (LSE:ENRC), whose production of the material takes place in Kazakhstan. It is also possible to buy shares of smaller companies focused on chromium exploration and development activities, but finding and evaluating these companies requires research and extensive due diligence.